John Williams was brought up in Market Drayton in Shropshire and played for the town team in the Shropshire County League. In the mid-fifties he joined the RAF and represented the full RAF side. After his national service he joined Everton as a full-time professional. He was later transferred to Crewe in the old Third Division North before joining Runcorn for a 5 year spell as a tricky left winger. His first managerial position was at Porthmadoc in the Welsh League. His four years there produced 2 league titles and a host of cups. Much of his success he put down to his band of �Scousers� such as Bobby Fraser, Jeff Forshaw and Stevie Joel. John then moved to Winsford, winning the league and two cups in his first season. That Winsford team included many players who became firm favourites at Runcorn. It was in March 1979 that John took over at Canal Street. Although in the lower reaches of the NPL, the team managed to win the League cup at Maine Road. 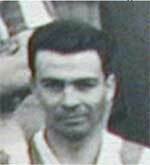 John�s first notable signings were Ben Seddon and Ossie Smith. The following two seasons were perhaps the best ever in Runcorn�s history. The Northern Premier League was won by a mile and the following season the club went on to win the Alliance (which is now the Conference). John won a �Personality of the Season� award from Rothmans in 1982-83 and in the period between 1979 and 1984 Runcorn were top of the averages in the league table produced in the Non-League Year Book. 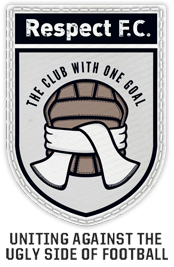 John�s final season at the helm was capped by an appearance in the FA Trophy final at Wembley, although the large number of matches leading up to the final took its toll and the team finished Runners-up to Altrincham by 1 � 0. After the final John swapped positions with John King and took over at Altrincham but was sacked for the first time in his career soon into his second season. John then went back to the Welsh League with Rhyl. He still lives locally in Frodsham and has fond memories of his time at Runcorn both as a player and manager. When asked about his most exciting moment in football, John came up with the moment at Kettering in the FA Trophy semi-final when he realised we were on our way to Wembley. Few who were there that day will argue with that. Here�s to a great manager and a great man!